How Can Micro Credentials be Used to Support Teacher Training? Earlier this year, the organization iNACOL released its latest map, charting the rise of policies that support K-12 competency-based education systems in states from coast to coast. By last count, 17 states have earned the status of “advanced,” another 13 have reached the “developing” status. Another 18 have entered the “emerging” status. This leaves just 2 states (Wyoming and California) that have not yet begun their journeys. Competency education operates under the notion that curriculum, instruction, assessment, grading, and reporting are focused on the transfer of skills in and across content areas. Competencies are identified by content area, grade level, and course, and students have many pathways to demonstrate mastery. Grades are no longer a hodge-podge of academics and academic behaviors that are averaged together as a percentage-based score. In competency-based systems, grades are about what students learn, not what they earn. Does your school facility need a makeover? According to this 2012 report by the National Center for Education Statistics, 53% of American schools are due for such an upgrade. Upgrades can be done in ways to fit almost any school budget. 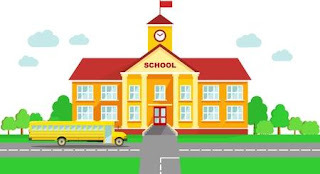 The key for school principals is to stretch the financial resources they have to provide the biggest rate of return possible to enhance student learning and overall school culture.